Hari Raya Aidilfitri is around the corner, how’s your preparation to the festive season my Muslim friends? 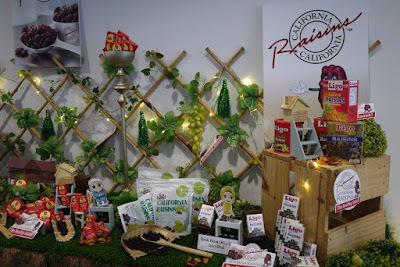 In conjunction with this festive season, the Raisin Administrative Committee (RAC) had introduced an array of nutritious and delicious recipes using California Raisins. 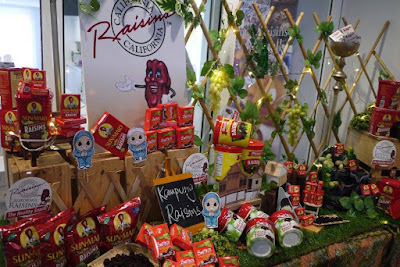 Aptly named ‘California Raisins Raya Manis’, these recipes aimed to inspire a sweet Hari Raya in aspects of creating sweet home-made culinary delights to serve family and friends during the Hari Raya festive season. California Raisins’ team had organise an event held at The Cooking House, Bangsar not long ago. 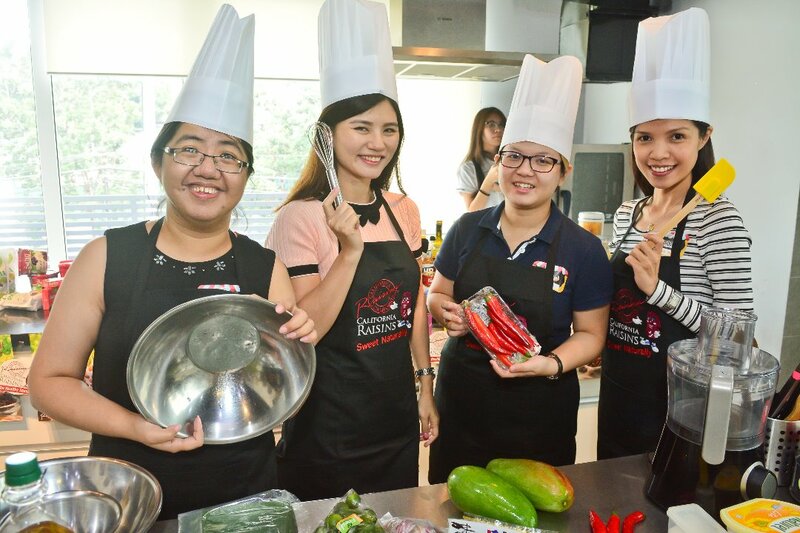 I was happy to join this event and participated the cooking competition with my teammates: Pamela, Chin Yee and Sin Yee. Before the competition started, we were welcome by Richard Lieu, Trade Director of Raisins Administrative Committee. Raisins are great to munch or snack on for the whole family especially children with natural sugar and is also a sugar replacement for many recipes in cooking and baking. Raisins is a great source of nutrition which is suitable to incorporate into meals amidst rising health issues due to unhealthy diets. According to Clinical Dietitian from Tropicana Medical Centre Ms Tan Yen Sing, studies have shown that increased consumption of fruits and vegetables more than 5 servings a day is related to a 17% reduction in coronary heart disease. The California Raisins team had also introduced Chef Rohani Jelani who has come up with the variety unique menu with the special home-made dishes. Chef Rohani Jelani has also live demo to us on how to make Biskut Kurabia Kismis California. 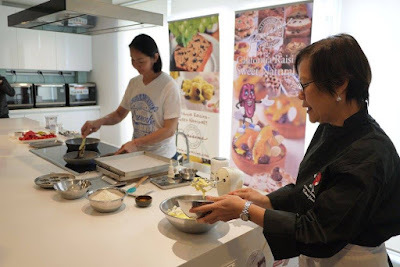 Meanwhile, she has also shared some incredible recipes including the Savoury Nasi Kunyit “Cakes” with California Raisins, Crème Caramel with California Raisins, Sambal with California Raisins and Bunga Kantan, Bubur Cha Cha and many more. Then, the bloggers’ cooking challenge started at the upper level of The Cooking House. 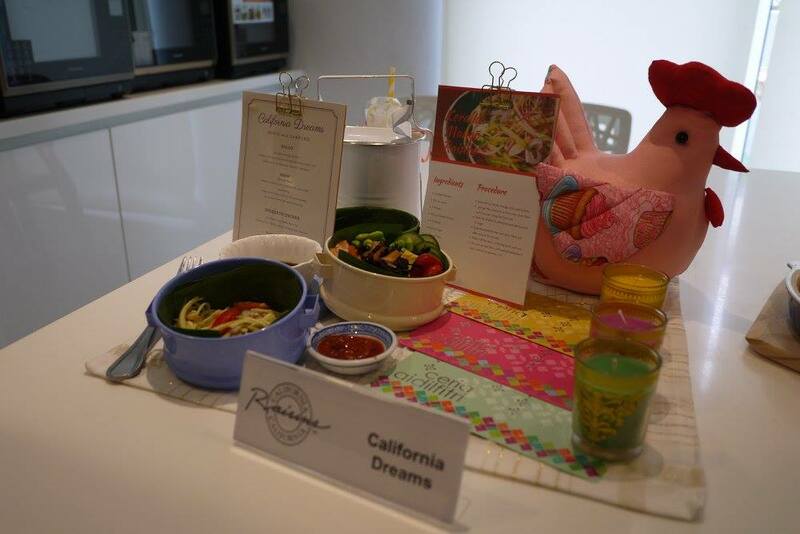 Thanks to Pamela, we had come out a bento set created with California Raisins within 1 hour time. We had make the kerabu mango kismis, poke bowl with raisins, sweet raisins chocolates as well as a mango raisin smoothies. 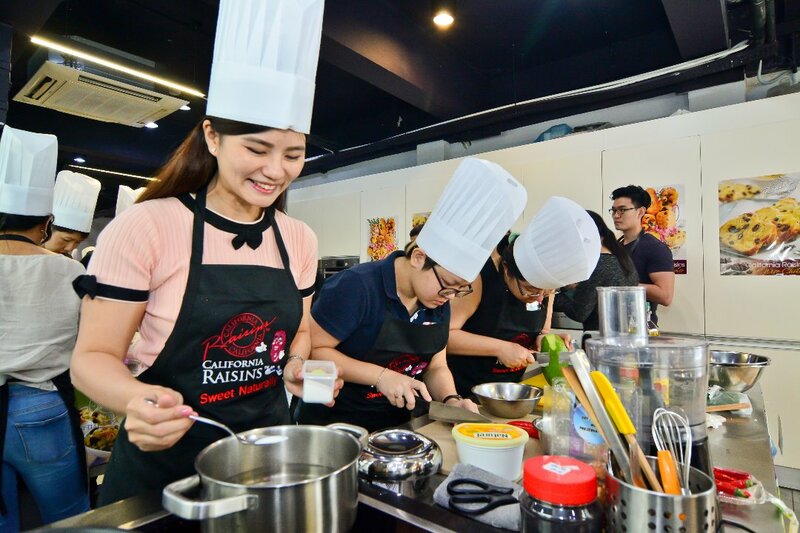 We had fun cooking with California Raisins and it is indeed a great opportunity to learn about the cooking. Our creation was not only nice to look at, and they taste really delicious too! The judges had tasted the dishes from each of the team, guess what? 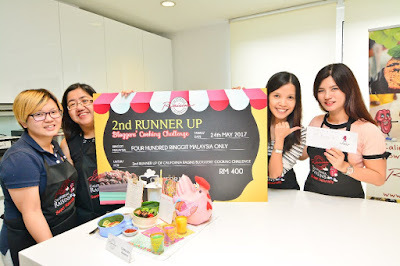 Our team namely ‘California Dreams’ had won the third prize in the cooking competition, yay! It was a great team effort and good team works, thanks California Raisins for the opportunity.